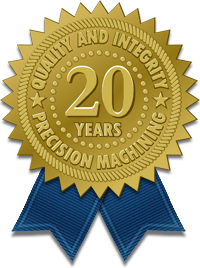 Expert Tool & Machine, Inc. (ETM), founded in 1990 by Rudy Kobus in the Dallas, Texas metropolitan area, began its history as a machine shop capable of custom machining through conventional equipment, later adding CNC technologies. Building upon a high standard of customer service principles and our excellent reputation for quality workmanship, ETM developed a full capacity turn-key operation with machining, design and build, fabrication, mechanical installation and process piping services. ETM's skilled team produces and delivers high quality products driven by our customer's needs, including short lead time turn around. Our proactive approach to analyzing mechanical performance issues, developing solutions, improving customer processes, reducing customer equipment downtime and helping our customers achieve maximum productivity has allowed us to develop long term relationships with our customer base. We are committed to tackling the demands of today's market and to our customers' success. To produce and provide high quality products with value added services that help improve our customers' manufacturing processes and resolve the customers' needs however large or small those needs may be.